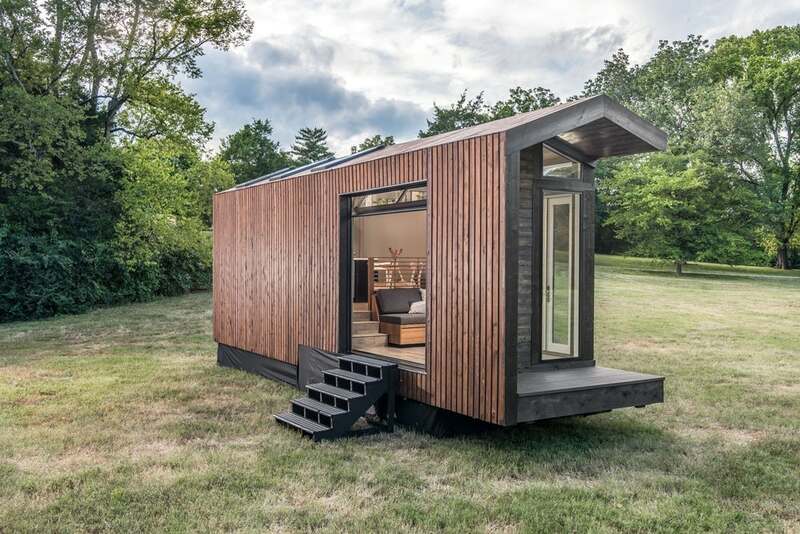 New Frontier Tiny Homes' Orchid Tiny House is the luxury tiny house firm's take on a contemporary farmhouse. 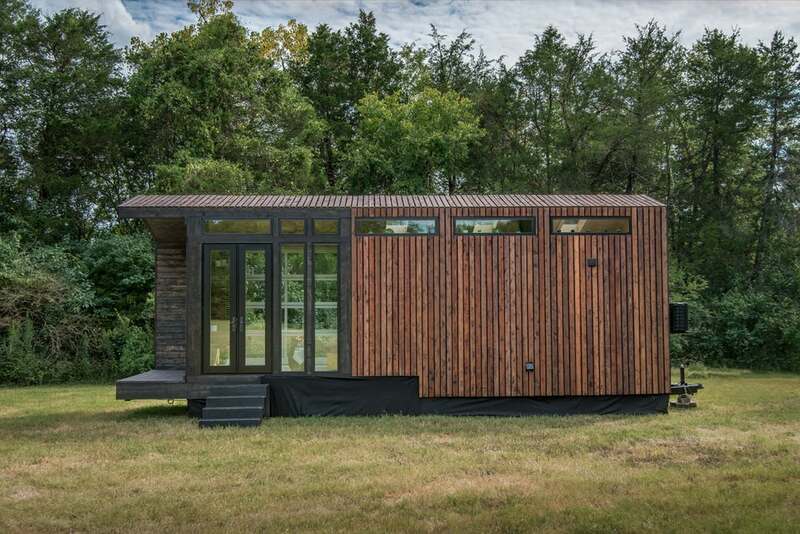 It measures 32 ft (9.7 m)-long and has a total floorspace of 310 sq ft (28.7 sq m). 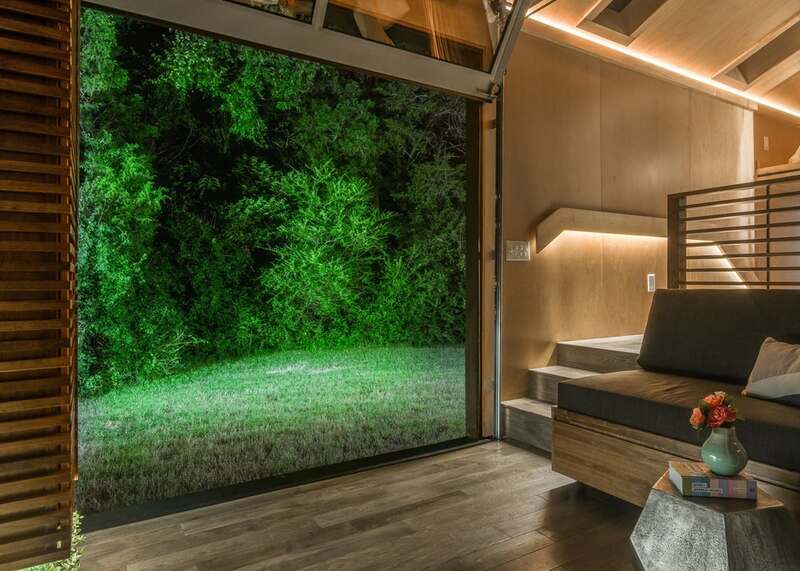 The home's interior opens up to the outside with a garage-style lifting door and the area also has a particularly nice solid walnut sofa that pulls out into a bed. 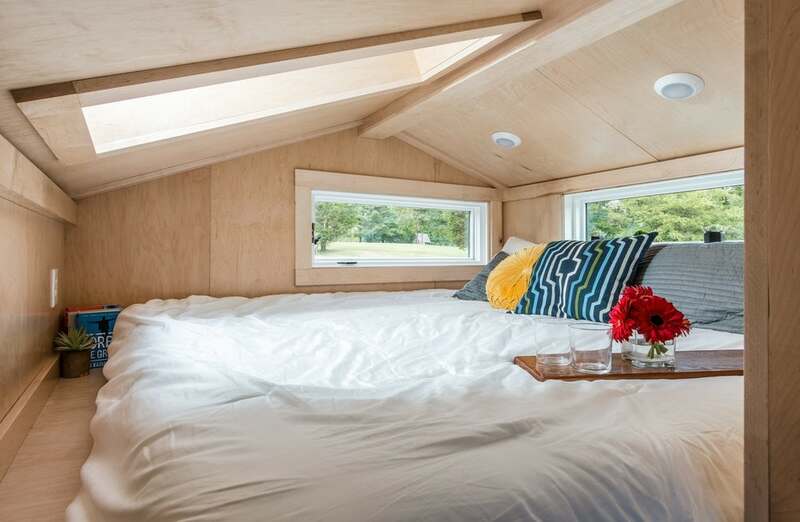 Elsewhere is a raised dining and kitchen area, a spacious bathroom, and a sleeping loft reached by ladder. 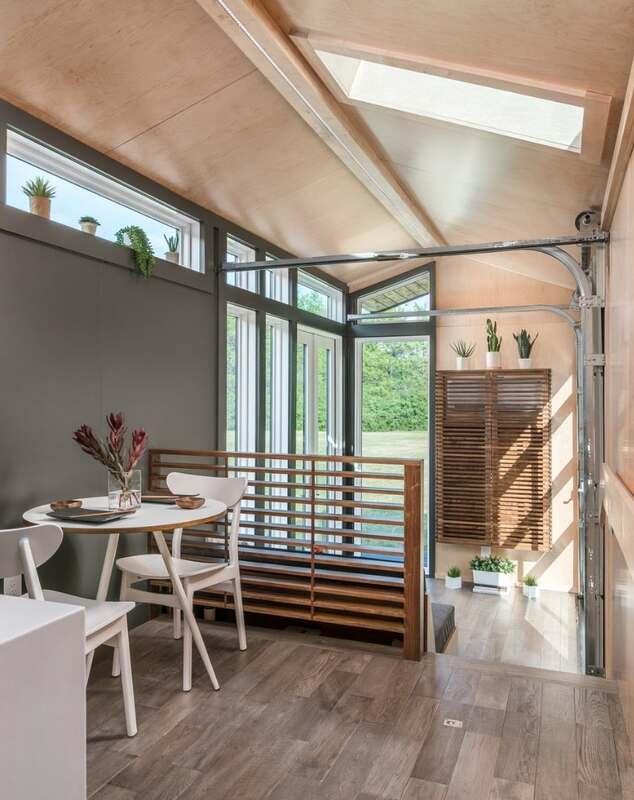 The home can be optionally upgraded to run off-the-grid with a composting toilet and solar panel setup.